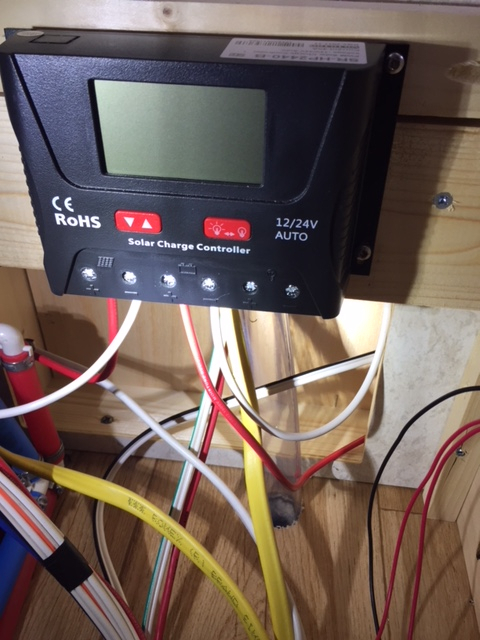 This discussion was created from comments split from: Factory installed solar; swapping PMW controller for MPPT?. @ScottG @Sharon_is_SAM ; Sharon has summarized the situation well. But the current controller I have is not a Victron. It is another brand. It looks like this. Sharon is correct that forum members have had mixed results with the BT function with this unit notwithstanding that the BT symbol is visible on the LCD display (not in this picture, though). I will pass on anything I hear from Creed. In the meantime, maybe someone who has actually done the swap will chime in. I see this same controller as pictured. How do you use it? I press the buttons on the face and see nothing displayed. I also see what looks like a USB port on the side...what is it for? Iam a new owner...the documentation tells me nothing. @Danner, you operate this system via an app using Bluetooth. Hopefully someonw will chime in. @Danner , see if this link helps. Thank you Sharon I will check it out...I have an iPhone...what app should I look for? @Danner Welcome to the [email protected] Attached is documentation from one of the distributors for that controller that I found helpful - maybe you already have this. If you see nothing displayed (black screen) then the controller is not getting any power from the battery. Assuming the battery has a charge, it is possible a connection to the controller has come loose or is mis-wired. A couple of questions so the forum members can best assist: Is this a new or used trailer from a dealer? Which year and model do you have? It is a new trailer I bought from a dealer 3 weeks ago. @Danner and the model is a 320 or a 400? I have pics of proper wiring for a 400 and can forward if that is the model you have. Have you sought assistance from the dealer? I purchased my 2019 320 S with the same controller and issue. The wires coming from the battery are reversed. I changed them and now have a display. I’ve not had the opportunity to try out the panels, so cannot speak to how well it works. Seems to be a common issue with this. That’s how I figured out they were backwards...by following wires.......and this great board. Are you able to connect via Bluetooth? @rjgors. I have connected with Bluetooth. I'd recommend searching for "RenogyBT" on Google Play Store for Android, and should be available on the Apple App Store as well. The admin password is135790123. The range is not great - if I am any further than 1 step away from the trailer I can't connect but for me it beats reaching below the bed to look at the controller display. 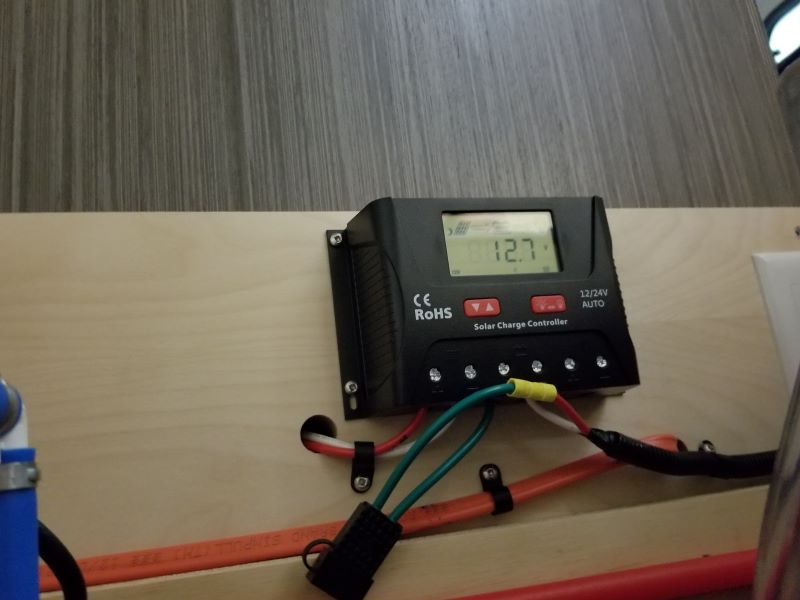 Did anyone give nuCamp a head’s up regarding the reversed wiring onthe charge controller? @Sharon_is_SAM Yes, in my case both Austin and Marvin was aware of it at the time (my trailer was an April 2018 build). @rjgors mis-wire was on a 2019. I too advised folks at nuCamp about the wiring issue. @rjgors. I have connected with Bluetooth. I'd recommend searching for "RenogyBT" on Google Play Store for Android, and should be available on the Apple App Store as well. The admin password is13579012. The range is not great - if I am any further than 1 step away from the trailer I can't connect but for me it beats reaching below the bed to look at the controller display. @rjgors Sorry, I think I dropped a digit. Try 135790123. Ding, ding, ding....we have a winner. Thank you! Any secrets to getting them synced? Just sit next to it? @rjgors If the apple app is the same as Android, at the bottom of the phone screen touch the spot labeled "Device Info" and then on the next page displayed select "Search Device" and if you are in range and the bluetooth gods are willing it should connect.